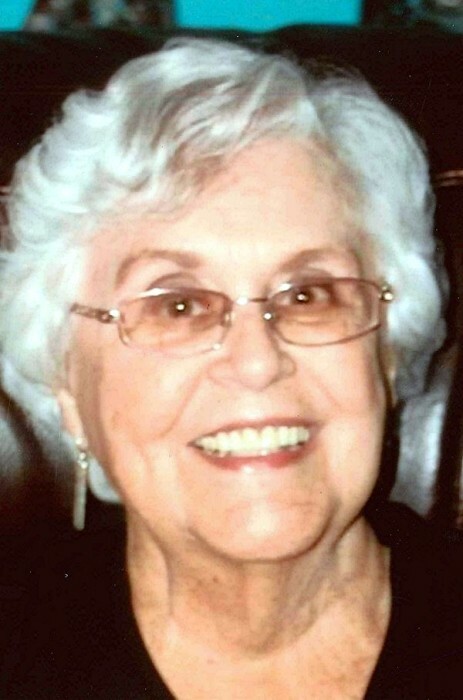 Stevanna “Stevie” McElreath, 87 of Duncan, Oklahoma passed away surrounded by her family Wednesday Jan. 23, 2019 at her home in Duncan. Funeral services will be 1:00pm Monday Jan. 28, 2019 at Ray of Hope Church with Pastor Mike McCord and Pastor Ronnie Bernard officiating. Interment will follow at Duncan Municipal Cemetery. Services are under the direction of Don Grantham Funeral Home. Stevanna was born Oct. 16, 1931 in Durant, Oklahoma to Maude Kate (Miller) and Raymond W. Harrison. At an early age when she visited her grandparents and cousins in Kenefic, Oklahoma they enjoyed climbing trees and also the water tower, to put their names on it. She attended Russell Training School at Southeastern State College. She then finished high school at Durant and attended Southeastern State College. She married E.D. “Mack” McElreath Aug. 4, 1951. While he was serving in the United States Air Force she accompanied him to Ladd Air Force Base, Fairbanks, Alaska for two years. Their first daughter, Linda was born there. Stevie and Mack helped to organize the First Methodist Church in Fairbanks and were charter members. They were transferred to Shepard Air Force Base where their second daughter, Leigh Anne was born. After serving four years in the Air Force they moved to Weatherford, Oklahoma where Mack attended Southwestern State College to learn the skill of watch making. They later opened McElreath Jewelry & Gifts in Ardmore, Oklahoma. Mack then became manager of Gibson’s Discount Center in Ardmore for 10 years. They attended The First United Methodist Church, where Stevie was a member of the choir. One thing she loved to do at Christmas time was to sing “The Messiah” in the Community Choir at Durant, Ardmore, Duncan and Lawton. She was an artist and had a gift of writing. She was always encouraging people with her words by sending cards at times of sadness and joy. She was also a good artist. Stevie was a “good sport” going fishing with Mack and many times she out fished Mack…and the proof was hanging on the wall! Floating the rivers in eastern Oklahoma in their red canoe was always a joy. She opened an antique store called “Stevie’s Tulip Trunk” and enjoyed traveling to buy merchandise. In 1972 Stevie and Mack opened El Palacio Restaurant in Duncan. Stevie managed the dining rooms, waitresses and other employees and was a wonderful hostess. Mack had the kitchen duties. They owned and operated El Palacio for 47 years, selling it in June of 2018. They were faithful members of Ray of Hope Church. Survivors include her loving husband, Mack McElreath of the home; two daughters, Linda Westfall of Duncan and Leigh Anne Burkhart and spouse John of Ardmore, Oklahoma; a sister, Betty Capshaw; one granddaughter, Megan Leigh Melendez and spouse Saul of Ardmore; three great-grandchildren: Tucker Leon Andrews, Kesleigh Maria Melendez and Lexi Kate Melendez. She was preceded in death by her parents; and a son-in-law, David Westfall. The family would like to thank DRH Chisholm Trail Hospice personnel for all their help taking care of Stevanna. They also asked that memorial gifts be sent to The Ray of Hope Youth Center.